Having a color theme party? Hi I'm Scott, Owner and lead Bartender with over 10 years experience in bartending both with 5-star venues, as well as private "in-home" bartending. I have a knowledgeable and fun staff of bartender/server personnel. With the high cost of banquet halls, more people are turning to the private bartender to not only lower their cost, also no one has to get behind the wheel after enjoying your party. We can also help create a drink menu for themes. I have all the proper equipment including portable bars. I also have DJ and Catering, contacts for a one stop shopping experience. No party is too big or too small. From 10 to over 500 We have your party needs covered. Scott was the perfect addition to a weekend away with 10 girls. He kept our drinks full, came up with new and fun drinks for us to try, BBQ'd for us, did a few massages and cleaned up the kitchen -- he really was full service! Thank you for the review. I enjoyed doing the extra things like grilling and utilizing my massage skills to make it feel like you girls were at a tropical resort. I enjoyed being your bartender, cabana boy, massage therapist, and chef :o) you guys were great! Wish you were local so I could do it again. Scott was awesome, my wedding guests loved him. GREAT price! I hired Scott to bartend my December wedding (my friend referred him). He did an amazing job. Not only at the night of our wedding but in the months leading up to our wedding. He helped me with what type of alcohol to buy, how much to buy, what size cups to get and the list goes on and on. I was overwhelmed in buying everything I needed for our wedding and Scott relieved so much of my worries by offering his professional advice. Not only was he patient with me emailing him a thousand of questions but the day before my wedding he called me up to see if there was anything else he could help me with. I asked him if he was able to pick up the ice and he said YES!!!!!!!!!!!!!!!!!!!!!!!!!!!!! This was definitely outside of his job description but he did it to relieve yet another stress for us. He truly was awesome and went way above what we could have ever hoped for. Thank you Scott!!!! It was my pleasure to meet you a Crystal and your friends. It was a fun group to bartend. Just think, you are one of the few who does have a Scott in their life lol, you have my number, just give me a call and I will be there and hook you up with a free LED lighted bar. Maybe next time I will grill for you guys as well. Glad you enjoyed the strawberry lemonade's. Did you make any later that night after I thought you how to pour? Thanks again for having me out. First off I want to begin with Scott the owner, he is not just a bartender but the first time you speak to him he talks like a friend. Planning my wedding I found every vendor that we used with that being said things get tricky because everybody says they're the best. In Scott case I booked him the day I talk to him he not only spoke to me about bartending but he helped me when choosing other vendors and what to look for and what to buy. The day of him and two other bartenders blew it out of the water. My guest would walk up to me and tell me how nice those people are and they took care of everybody even during the crazy times of cocktail hour when people tend to get pretty crazy LOL. I want hundred percent recommend him because he's almost like a party planner :). Thank you Scott ! Thank you Christine for the kind words. It is so hard too get someone to post a review, but it really makes me smile too know I could help take some stress off planning your wedding. We have done around 700+ weddings and have picked up a few things along the way. You, your family and friends were great and we loved being a small part of your special day. Congratulations again! I was hosting a bachelorette party for my good friend and decided to hire a bartender while we relaxed by the pool. Scott is incredible! He not only made delicious drinks but he also prepared lunch for our group of 10. He truly goes above and beyond for his customers! If you are looking for a bartender in the area, hire Scott. You will be a happy customer! Thank you Casandra for taking the time with your busy schedule to do this for me. It was my pleasure to pamper you all with both Bartending and grilling lunch while you layed poolside. I made the balsamic marinaded asparagus since that weekend, love that smell. Glad the maple glazed Brussels sprouts worked, my first time cooking them especially on the grill. Note to self, par boil the lil suckers first lol. Hopefully our paths will cross again in the future and I can do this again for you. Take care, and again thanks for the review! 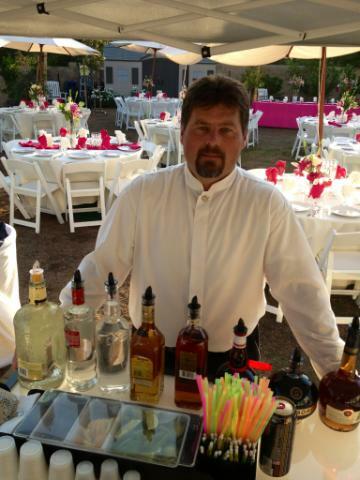 We hired Happy Hour Bartending for our outdoors, pool, beach wedding on July 25. Scott is in contact with me and answers all my questions in no time. He helped me create my wedding signature drinks and his bartenders execute an excellent, fun, and an amazing job. My husband , I and all my guest are so happy with the service he provided us with such a good price with an highly great service. Definitely will recommend and use this company again. Thank you Happy Hour Bartenders. Scott and his team were the best!! We hired Always A Happy Hour Bartenders for our private party this past Saturday evening (4/11/2015). 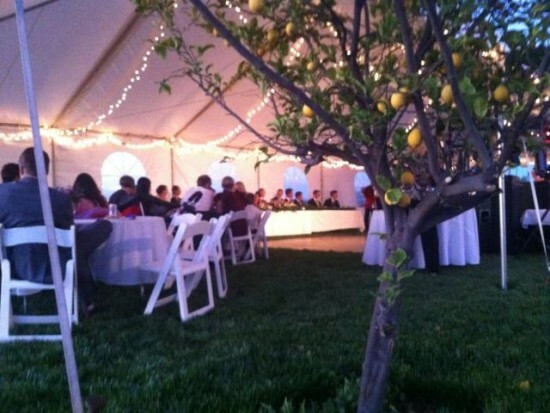 We had about 130 guests and Scott and his staff did a fantastic job. We had so many of our clients and friends who attended the party tell us how impressed they were with the bartending service. They were always professional and friendly to our guests. We would highly recommend Scott and his team and will not hesitate to use him again, in the future. Scott was our bartender for our wedding (Pre Ceremony, Cocktail Hour and Reception) and I have to say, I was more than impressed! He was early to our event and had everything set up well in advance! The guests kept complementing us on our awesome bartender! He knew many of the guests drinks very quickly and kept the drinks flowing while also keeping a careful eye on them to make sure everyone was safe. I cannot say enough good things about him and have just hired him to do our annual Halloween Party. I will use him for every larger event I have from now on. You cannot go wrong with Scott and his team! Thank you again Scott for your help in making our day that much more special! We contacted Scott about bartending our New Years Eve party. He was so helpful and took the time to create a specialized drink list for our 80's themed party. He also helped us put together a list of what we needed to buy in order to stock the bar. They helped the party run smoothly and kept the drinks flowing. They stayed longer than we had originally planned for them to be at the party and had no problem in doing so. We would definitely use them again - they were top notch!!! I had no idea you could rent a bartender. Contacted Scott about my My wife's b-day party and he could not have done a better job. I gave him the head count and the type of drinks we wanted and he gave me a list of what to buy and where. The drinks were great, he was professional, punctual and in my opinion, under priced. Scott had no problem staying longer than I requested. 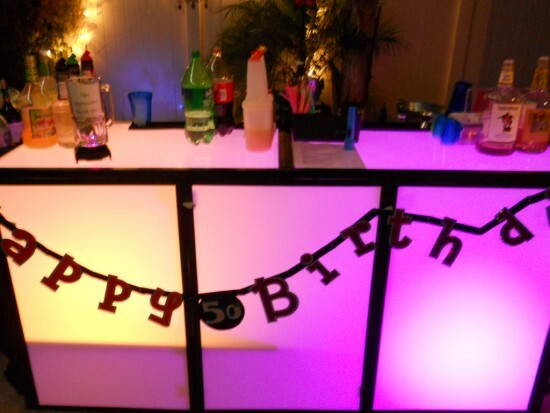 Always A Happy Hour Bar tending service made my party a blast. Scott was connected from day 1 via email. Gave me details on what to buy, where to buy etc. Bartender and equipment showed up on time on a Saturday evening. LeeAnn, bartender was great, knew her stuff, lively, friendly. Must say, all my guests liked her. I will rehire them for future parties. I orginally was not going to hire a bartendar for my anniversary party, I thought it would be out of my price range to do so. When Scott contacted me and quoted $25 an hour I was more than thrilled with the price. He was in constant contact with me during the event planning process, he showed up on time and was very professional. All his equipment looked great and he was a great bartendar. I would highly reccomend Scott and his company. Would for sure hire again! Prior to hiring, Always a Happy Hour, I interviewed a handful of bartenders before selecting Scott and his team. From the start Scott was super helpful, straightforward and very easy to get in contact with either by phone or email. I would absolutely hire "Always a Happy Hour Bartending" again and would recommend them to friends and family. Thanks you guys for a great night!! This was my first time setting up for an event of this magnitude and Scott was very helpful. His expertise was greatly appreciated. He made sure we had what we needed for the amount of people attending. Great communication, professional and exceeded my expectations Always a Happy Hour was a great addition to our team and they helped make this event go seamlessly. I contacted Scott with Always a Happy Hour about a month before my husband's big birthday party. He quickly responded to my emails and phone calls and helped me plan a drink menu for my event. I had two lovely ladies who served us that night, Erica and Angela, and I would be happy to hire them again in the future. I was very satisfied with the communication and service I received from this company and would highly recommend them to anyone in need of a bartender. Like it says...Always a Happy Hour Bartending! I hired Scott for my Mother's surprise party, Although we had Jillisa as our bartender, who was very polite, professional, happy going, ready to work person, Scott was in contact the whole time. As in emails, phone calls, menu. He was very well organized, I was able to tell him what I wanted and he made it happen. Even better they had their own bar, garnishes, tops for the liquor. The drinks where not too strong and not watered down. My family has hired other bartenders and thus far tops them out! Thank you Scott for your communication! Thank you Jillisa for your service...I hope you return soon! Scott was very helpful in making my sisters 50th birthday party a success. He made the drink menu personal, which made it special. He served adults and kids to their liking. He has a very cool custome bar, and I would use him again for any future function. Scott was fantastic. He was extremely professional, polite and was so much fun! He had every detail down to the wire - his portable bar was great and his presentation was perfect. He gave me a list of all the drinks he could make with the alcohol we provided, I printed out the list for our guests and we know they really enjoyed the wide variety he was able to offer them. We will definitely hire him again in the future! Scott and his staff were simply wonderful. Well in advance of my Moulin Rogue themed 30th birthday bash, Scott concocted a very festive and personalized drink menu. One of his creations was a big hit at my party. Scott was professional, arrived on time, and exceeded my expectations. He was very reasonable in terms of price too! I will so hire him again. Scott was fantastic. He brought his own bar, had the complete set up (minus the alcohol) and was incredibly professional the entire time. I even tried to get him to sit down since he was going to be standing all day and he wouldn't. Would 100% hire him again. Scott came well-prepared to make our party a success. He was engaging with everyone who ordered a drink and was able to converse with all ages. We can hardly wait to have another occasion to throw a party and hire him as the friendly bartender who makes excellent drinks! I hired Scott for my husbands 35th casino birthday party. He did such an amazing job everyone was asking where I found him. He was very friendly & courteous.I would HIGLY recomend him to ALL my friends and family! Thank you for making my husbands 35th birthday an AWESOME ONE!! Scott, with Always A Happy Hour Bartending, bartended my husbands' 40th birthday party. We had about 25 people and all complemented me on how great the service was. Scott was very professional and courteous to all my guests. And when asked to stay for another hour, he was happy to do so. I HIGHLY recommend their services. Two attractive lady bartenders served my housewarming party of about 30 people. The ladies were well dressed, and friendly to my guests (even the obnoxious flirty ones). The services provided were reasonably priced, and did a good job. When you book with us, we guarantee we will show up, and not drop your event for a higher paying one like most private bartenders will do. We will show up 45 minutes prior to the event for set-up and to go over any last minute changes or requests. We will provide you and your guests with a worry-free experience, and always be courteous and greet each guest with a smile. We will pour accurate and consistant drinks. We will provide a drink menu to help your guests with what can be ordered with the available alcohol purchased. Why make drinks for you and your guests? Allow us to do that for you so you can enjoy your own party worry and hassle free. Our mobile bartenders bring the bar right to your home or office to allow a more intimate and private setting. 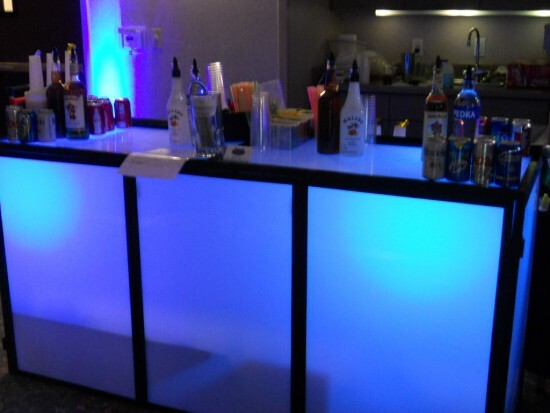 We have portable bars, LED lit portable bars, and Tiki portable bars and all the standard bar equipment to bring the local bar feel right to you. We provide the bartenders, cocktail servers, portable bars, straws, napkins, drink garnishes, club, tonic, grenadine, disposable shot glasses, and a custom drink menu specific to your event. We can also help you shop to save money by telling you where the deals are. Other items maybe also be provided depending on size of event. We are all fun, dependable friendly, and knowledgeable to ensure all of your guests enjoy themselves. We provide portable bar(s), all garnishes, straws, napkins, grenadine, lime juice, salt/sugars, both vermouths, and disposable shot cups free of charge.